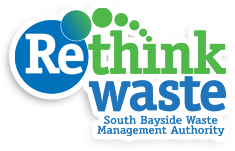 The South Bayside Waste Management Authority (SBWMA), also known as RethinkWaste, is a Joint Powers Authority comprising twelve member agencies in southern San Mateo County. Recology provides collection services to the member agencies through agreements with an initial term that ends December 31, 2020. In 2016, the SBWMA Board the Board of Directors approved a plan to support member agencies with negotiating a potential extension of the Recology agreements. Facilitated a goal-setting workshop with over 20 representatives from the member agencies. Prepared an RFP to solicit a formal proposal from Recology. Serving as lead negotiator and lead analyst of Recology’s cost proposal and proposed compensation and rate setting methodology. Developing a model franchise agreement with Recology that can be adapted by individual Member Agencies to their unique needs.